Pennsylvania has 86,000 miles of rivers and streams, including freestone streams, tailwaters, and spring creeks, flowing through 46,000 square miles of diverse country ranging from mountainous terrain to farm land. The waters run as small step-over brook trout streams choked with rhododendron to large rivers best fished from a drift boat. 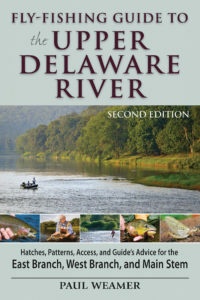 For this new guide, a team of experts share their insights, tips, and favorite fly patterns for their local waters and bring readers the most complete and in-depth information on the best fishing opportunities in the Keystone State. Mike Heck grew up fishing the spring creeks of southcentral Pennsylvania. 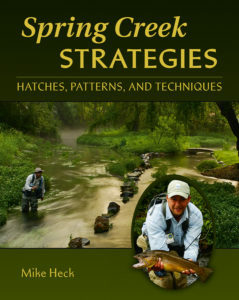 He is the author of Spring Creek Strategies: Hatches, Patterns, and Techniques (Headwater Books), which is based primarily on his experiences fishing Cumberland Valley spring creeks, but also contains lessons for all challenging waters. 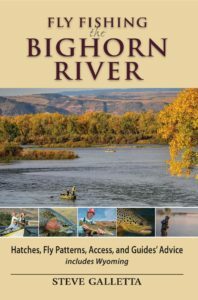 He is an Orvis-endorsed guide, fly designer, and contributor to Fly Fisherman, American Angler, and other publications. He lives in Dry Run, Pennsylvania. Gary Kell worked for the USDA Forest Service for over 32 years. Since retiring in 2003, he has taught fly fishing to hundreds of students, and for five years taught fly fishing for L. L. Bean at the Outdoor Discovery School in Front Royal, VA. He is a FFF Master Certified Instructor and registered PA Licensed Fishing Guide. He currently operates Gary Kell: The Fly Fishing Coach and provides a variety of fly fishing instructional services (www.theflyfishingcoach.com). His articles have appeared in the Warren Times Observer and Fly Fisherman. He lives in Warren, Pennsylvania. Len Lichvar is the District Manager of the Somerset Conservation District, PFBC District 4 Commissioner, professional freelance outdoor writer/photographer published in local, state, and national publications, and the Outdoors Correspondent for the Somerset Daily American. 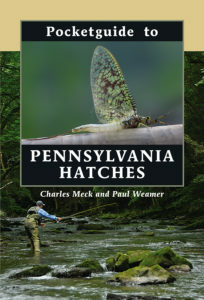 A long time member of the Pennsylvania Outdoor Writers Association, he is also an active member of many local and state sportsmen’s groups, as well as conservation and civic improvement organizations. Len resides in Boswell, Pennsylvania. Along with wife, Becky, he has two children, Laurel and Logan, and a granddaughter, Mackenzie. 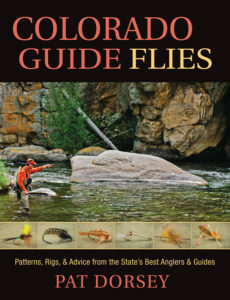 Jay Nichols is a publisher, editor, and photographer specializing in fly fishing and fly tying. 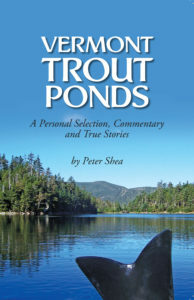 He is the Northeast Field Editor for Fly Fisherman magazine, fly fishing editor for Stackpole Books, and publisher of Headwater Books. 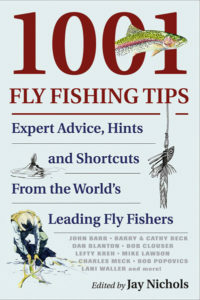 He has authored or coauthored numerous books including the best-selling 1001 Fly Fishing Tips, Tying Dry Flies, Fly Fishing for Smallmouth (with Bob Clouser), and Fleye Design (with Bob Popovics). He was the primary photographer for Casting with Lefty Kreh and Fly Casting Fundamentals, both with Lefty Kreh. He lives in Boiling Springs, Pennsylvania, with wife, Donna, and two children, Amelia and Lilian. Henry Ramsay is a part-time guide, instructor, writer, and photographer. 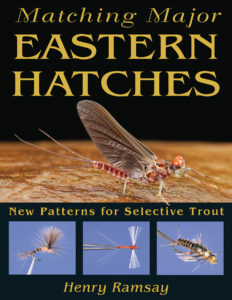 He is author of Matching Major Eastern Hatches: New Patterns for Selective Trout (Stackpole/Headwater) and has written for Eastern Fly Fishing and Fly Fisherman magazines. 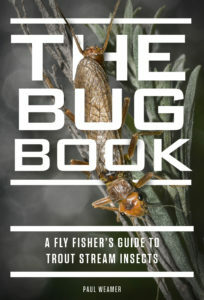 His flies have appeared in a number of magazines and books, and he presents at many shows, clubs, and Trout Unlimited chapters in the eastern U.S. He is a pro staff member for Daiichi Hooks and Regal Vises, and is a contract fly designer for Umpqua Feather Merchants. He lives in Birdsboro, Pennsylvania. Dave Rothrock is a part-time guide and fly fishing and casting instructor (Salmo Trutta Enterprises). His articles have appeared in Fly Fisherman, American Angler, and Pennsylvania Angler magazines as well as other publications. His fly patterns have graced the pages of various publications, books, and calendars. He has presented programs on fly-fishing related topics to groups throughout the eastern U.S. and Canada and was previously an instructor in the L. L. Bean fly fishing schools. He lives in Jersey Shore, Pennsylvania. Brian Shumaker is the owner of Susquehanna River Guides, which specializes in fly fishing for smallmouth bass and other warmwater species. He has guided for over 20 years. 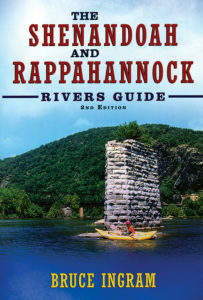 He has written articles for the Mid-Atlantic Fly Fishing Guide, has been featured in Fly Fish America, and was a contributor to the Susquehanna River Guide. He is a popular speaker at many local and regional clubs and organizations, as well as many fishing and outdoor shows. He is on the pro staff for TFO Rods and Cortland Line Company. He lives in Mount Holly, Pennsylvania, with his wife, Rene. Ben Turpin has been fishing Pocono area streams since 1996. He owns and operates Ben Turpin Custom Rod Building and Guide Service (benturpin.com). 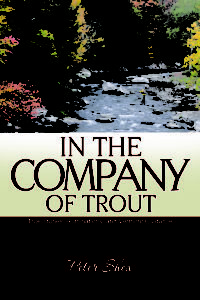 He has written for Mid-Atlantic Fly Fishing Guide and is a popular lecturer and exhibitor at local Trout Unlimited meetings and fishing clubs as well as fly fishing shows. He is currently the stream manager for a private fishing club in the Poconos on McMichael Creek. He and wife, Jodie, and children, Andrew and Valery, live in Saylorsburg, Pennsylvania. Karl Weixlmann started fly fishing in western New York as a teenager and caught his first steelhead in 1983 from Fourmile Creek in Erie, Pennsylvania, where he has been a fly fishing guide for the last 20 years. 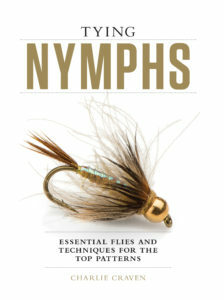 A previous contributing writer for the Erie Times News, Weixlmann has also written feature articles for Fly Fisherman magazine and is the author of Great Lakes Steelhead, Salmon and Trout: Essential Techniques for Fly Fishing the Tributaries. He has served as past President of the Pennsylvania Steelhead Association and also the PSA Board of Directors. He lives in Erie, Pennsylvania, with his wife, Lisa, and son, Kyle.